The Guggenheim in New York City is currently expanding its collection in order to focus more on the evolving, complex nature of Chinese identity. Richard Armstrong, who has previously worked for other prestigious American institutions, such as the Carnegie Museum of Art and the Whitney, publicly announced in Hong Kong that the New York Guggenheim will showcase seven Chinese artists. While this white colored rotunda has had its fair share of exhibitions, this is a precious moment for this Guggenheim branch to further indicate their ever growing, eclectic global collections. The various artists come from the Robert H.N.Ho family Foundation, which has an initiative that primarily focuses on guiding and cultivating the potential for Chinese artists. Based in Hong Kong, this foundation’s mission is centered around the notion of art development to be one of the main cornerstones in overall societal growth. With less than a year for these artists to make their creative mark in the New York Guggenheim, the museum’s collection will actually be completed for the public during the beginning of November. Chinese artists such as Sun Yuan and Peng Yu have been chosen by Richard Armstrong to exhibit their work that focuses on their nation’s history, ever changing political atmosphere and specifically how these factors contribute to their identity. Both Sun Yuan and Peng Yu are especially appealing to the NYC Guggenheim because they are currently at a very unique, transitional phase in their careers as artists who have not yet peaked in their professional field, but are not necessarily new to the scene. The expected work that will display this iconic, white spiraled museum will traverse a wide array of forms, ranging from visual clips to large installations throughout the gallery. In addition to an exhibition focusing on the work from contemporary Chinese artists, the Guggenheim is also in the process of acquiring art from the 1980’s-1990’s. According to Alexandra Munroe, the museum’s Asian art curator, art from this era is experimental and outlandish in nature, offering a very different, more visually intriguing side complementing contemporary Chinese art. Interestingly enough, this show is expected to be the most extensive art collection of this nature to have grace a US based museum. Although there are limited details as to when or what this exhibition would specifically entail, it is clear that Chinese artists will be on the rise on the American art scene in the years to come. What defines a great art gallery? Is it the quality of its dealer, or is it the works showcased? The answer is probably both, but the later often depends on the former. Without a talented dealer, there’s no real sense of guidance or taste in terms of defining the kind of work the gallery will exhibit. Here are three of the most important dealers at the forefront of design right now. In only three years after opening her gallery, the Danish dealer has been able to establish a solid reputation as a forward thinker. She’s known for having a keen sense of what’s next in art, fashion, and furniture. She was an early supporter of artists like Pettersen & Hein, known for their Brutalist sculptures, Sabine Marcelis and her neon-and-resin lights, and Thomas Poulsen, also known as FOS. Her refined taste comes from a combination of having a childhood immersed in art (she was raised in a house designed by none other than renowned Arne Jacobsen) and her studies at the Sotheby’s Institute of Art. Some people may know Patrick’s collections from his days when he dealt 90’s vintage design in Mondo Cane. But it wasn’t until 2010, via his blog Mondoblogo, that he became associated with conceptual furniture duo RO/LU from Minneapolis. The artistic pair were part of Patrick’s first contemporary exhibit at Mondo Cane, featuring furniture that referenced icons like Rudolph Schindler and Scott Burton. By 2014 he opened Patrick Parrish Gallery in Tribeca, where he now exhibits work from artists like Jesse Moretti (painting), Ian McDonald (architectural ceramics), and Marcus Tremonto (lighting). Amaryllis and Kwinten founded their gallery in 2014. They started off by sectioning off half of their apartment, which happens to be a former 1920’s lingerie factory, and inviting the public into their home. Known for commissioning artists and architects that make functional objects, today this couple has shown at places like Design Miami and sold numerous pieces to Belgian museums. As of late, they will finally be moving into a bigger exhibition space. Their first collection features works from Kersten Geers David Van Severen and architect Anne Holtrop. They also intend to showcase conceptual artists whose work is highly inspired by architecture. As a collector, keeping an eye out for influential dealers is a great way to discover new artists, find truly unique pieces, and stay up to date on the latest artistic trends. Who are some of your favorite dealers? ‘Woman with an Open Robe’ by Pablo Picasso. Ceramic jug. 1955. Estimated worth between $52,500 and $67,500. You’ll be hard pressed to find someone who hasn’t heard of the epic artist Pablo Picasso and his infamous paintings. But lesser known are his large collection of ceramics and sculptures. Most people don’t know that throughout Picasso’s career, he hand-molded and painted roughly 4,000 pieces of pottery. These pieces vary from vases and plates to animal figurines. Some he created as stand-alone pieces and others were produced in various editions. ‘Owl’ by Pablo Picasso. Painted ceramic. Estimated worth of $44,700. 70 of these pieces are now going up for auction come Feb. 5 at Sotheby’s in London, being sold directly by Marina Picasso, his granddaughter. A portion of the collection will be exhibited in Sotheby’s New York during January to bring awareness to the London sale. Along with the sculptures, Marina will also be auctioning off roughly 110 drawings. Interest in and prices for these ceramic works have been soaring as of late. 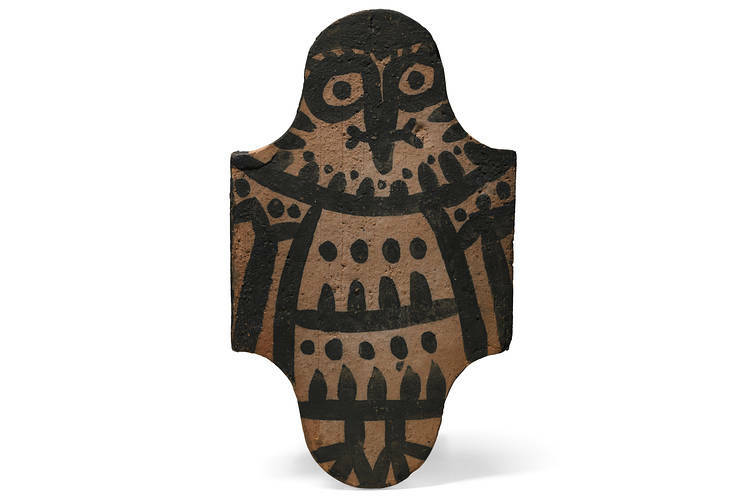 In February 2015, one sale of a terra-cotta figure set the record for Picasso’s ceramics when a collector paid Sotheby’s $1.9 million. The work was expected to sell for a third as much. In June 2015, a group of 126 ceramics from the collection of Ms. Picasso was sold at Sotheby’s for $19.4 million, again selling for roughly three times as much as estimated. Notable works in the upcoming sale include “Woman with an Open Robe” and “Bird,” both pictured here. ‘Bird’ by Pablo Picasso. 1957. Estimated worth between $9,000 to $12,000. The pottery for sale was mostly created between the late 1940s and the mid-1960s, before Picasso moved away from pottery to begin working in bronze. The drawings being sold, though, span Picasso’s entire career. 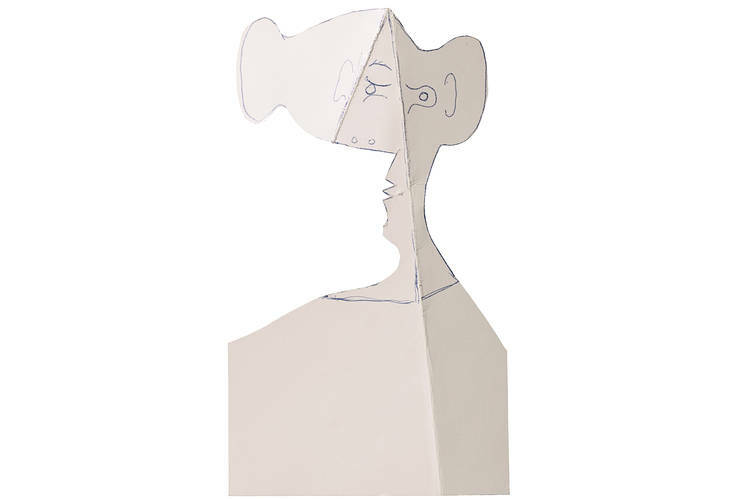 Some of the pieces up for sale carry astounding starting estimates as high as $269,000, such as a 1962 paper cutout of a woman’s face (seen below) that was used to develop Picasso’s sheet-metal sculptures of “Sylvette,” a subject seen repeatedly in his work. ‘Head Face’ by Pablo Picasso. 1962. Starting estimate worth of $269,000. 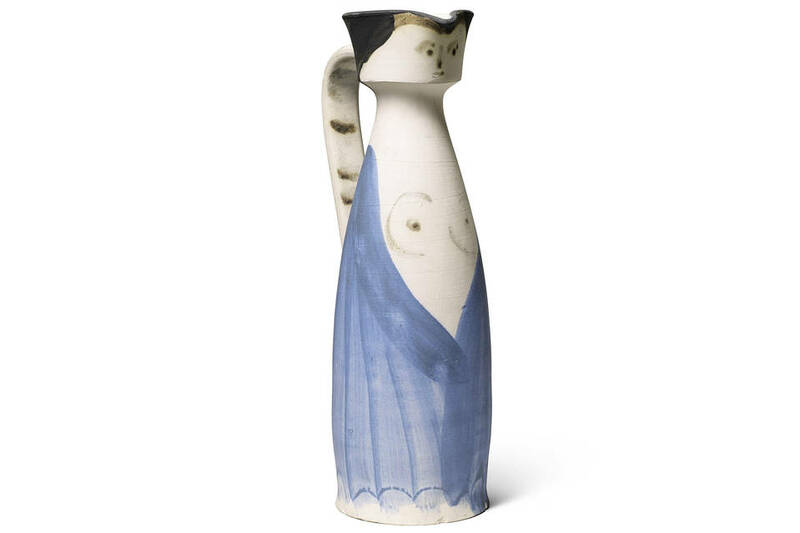 What’s even more interesting about these Picasso ceramics auctions is the fact that their prices have been increasing even as prices across the market have been plateauing. According to the auction-tracking firm Artnet, the average price for Picasso’s ceramics have increased from a respectable $16,100 in 2012 to a whopping $35,300 in 2015. Who know’s what these auctions will reach now that we’ve entered 2016. The price point is also particularly attractive to novice collectors looking to get a few big name pieces into their collection without draining their budget before they are able to add other important pieces to their portfolio. As evidence, at a similar auction back in March 2015, it was reported that 62% of the auction winners were first-time buyers of Picasso’s ceramics. It’s great to see novice and seasoned collectors alike getting excited about these special pieces from one of the greatest (and certainly most famous) artists of all time. Art collectors around the world know that first and foremost, art is about passion. Art collectors tend to hold their collections near and dear to their hearts because chances are if they chose to invest in them, it’s because they have a personal connection with them. That being said, you shouldn’t sink your money into anything that can give your heart that familiar tinge of emotion. You should do your research, consult with the right people, and make sure that your purchase makes financial sense for your individual circumstances. But, you should be passionate about the art you’re investing in. Don’t buy art to impress others or because you want a big pay off when it appreciates in value. Buy art because you enjoy it. First time buyers are often not sure where to start. And understandably so. Collecting art is in itself an art form. Here are some quick tips to help you when you’re just starting out in the art buying world. Establish a realistic budget from the get-go. It’s easy to get caught up in a high-priced passion piece and blow your budget before you’ve even gotten started. Decide from the beginning how much you’re prepared to spend and how many pieces you would ideally like to have. Make sure to factor in figure costs into your budget such as framing, maintenance, and insurance. You’d be surprised how much that can add to your total cost. Once you find a peace that speaks to you, make sure it fits within your long term collection goals. Each piece should have a meaningful place in the overall purpose of your collection. What you buy today should be enjoyed for years to come. It shouldn’t be looked at as a short-term profit unless you’ve found an up and coming talent before you believe they’re about to hit it big. This can be a fun and lucrative exception. See as much art as possible. Part of being a beginner is learning the ropes. There’s no better way to begin understanding the art world and start forming opinions about what you would like in your collection than by seeing as much art as possible. The more you see, the better you’ll understand what’s out there, what it costs, and most importantly, what you like. Find out where your local galleries and museums are. Subscribe to an online art publication or magazine. Attend a few art fairs. These are all great places to start. Waiting to buy your first piece can feel like waiting to open presents on Christmas morning. It’s an exciting and engaging process, but don’t buy the first pretty thing that comes along. Wait for a piece that you truly love and want to spend years admiring. Make sure you understand the buying process. Are you buying a new piece for sale directly by the living artist or are you buying it from a collector at an auction house or gallery? Make sure you understand the fees involved in the transaction. Galleries usually take their fee from the seller, but auction houses can charge an additional 20 – 25 percent buyer’s premium. Before you agree to buy, make sure you learn as much about your potential piece and it’s creator. The gallery or auction house can likely fill you in on many of the details, but don’t shy away from doing your own research back at home. 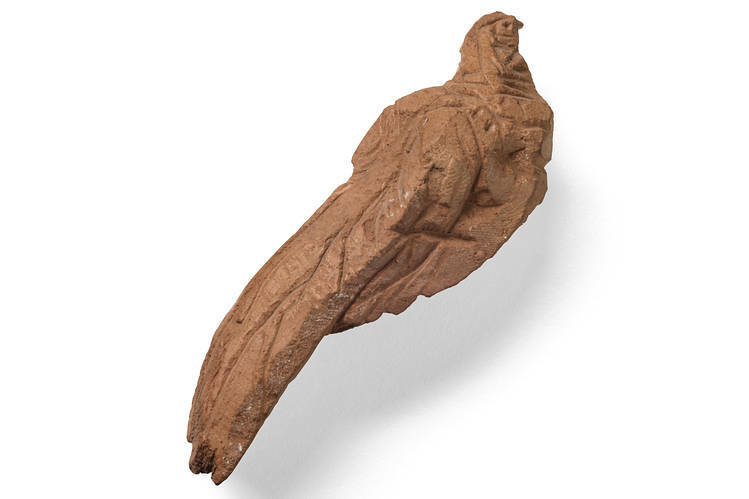 You may also want to consult a professional advisor who can estimate the long-term value of the piece. Compare the price to similar works. If you aren’t sure what a fair price is, chances are you’ll get a better idea by looking at the selling price of comparable works by the same artist. You can obtain this information from the auction house or gallery or from the online auction records of Christie’s, Sotheby’s or Phillips. Another great tip: you can sometimes find more reasonably priced art at charity auctions and studio tours. Don’t hesitate to seek a professionals opinion. Art advisors make a great living at what they do for a reason: people need professional guidance. If you’re unsure or having serious doubts about a potential purchase, by all means meet with an advisor. Not only will they make sure you’re not making a poor investment, but they’ll also be able to guide you to similar pieces and artists based on what you have shown an interest in. They have insider knowledge that takes years and sometimes decades to acquire. Take advantage of every resource you have, and you’ll be sure to sleep soundly knowing you’ve made the right choice. A rare collection of 1,000 original watches by Swatch were recently sold by Sotheby’s at a Geneva auction for CHF1.3 million ($1.3 million). The collection was comprised of the timepieces created in the brands most popular period in the 1980’s. The brand was so popular that it’s credited with saving the Swiss watchmaking industry. The collected had been stored in an attic in canton Neuchâtel for years. It included 380 prototypes, as well as technical drawings, dials, sketches, and artwork spanning the 1981-1986 period. It belonged to the Swiss designers Bernard Müller and Marlyse Schmid, who were responsible for creating much of Swatch’s iconic visual identity in the early 1980s alongside Müller’s engineer brother Jacques. Swatch was founded because it’s creators saw the need for a Swiss-made plastic watch that didn’t sacrifice quality while hitting an affordable price point. It’s development required technical innovation, with each watch only having 51 parts, as opposed to nearly 100 needed to make a traditional wristwatch. This reduction in parts allows it to be produced for 80% cheaper and assembled using a fully automated system. The Schmid & Müller collection contained a number of iconic pieces, including the original Jellyfish Swatch — the first transparent watch that started the trend of see-through watch movements. It was designed by Marlyse Schmid, and it was part of a 200 piece limited edition. It also included original prototypes from the “Swatch Art Special” series, including the first model featuring artwork by “Kiki Picasso.” At the height Swatch’s popularity at the end of the 1990s, a single model sold for CHF60,000. Another highlight was a series of models and artwork by US artist Keith Haring, who took two years to come up with his 1986 collection of six designs. There’s been renewed interest in vintage watches as of late. Back in April, Sotheby’s auction house in Hong Kong sold one of the biggest private collections of Swatch watches in the world. The collected contained 5,800 timepieces that had been collected over a period of 25 years. It sold for $6 million. Müller hopes that his collection is able to stay in one piece and enrich other Swatch collections.